For years, many printing companies got along fine with homegrown systems for estimating processing incoming orders. And some companies continue to believe they don’t need to worry about automating print order management. A recent survey shows that only 50 percent of printing companies currently use software for estimating, order management, and other functions of print management information systems (MIS). The survey suggests that many print business owners might not know that today’s Print MIS programs today are much different than first-generation programs. Older systems sometimes took more than a year to implement and required companies to significantly revise their pricing models or business practices. If you haven’t yet checked out a modern Print MIS, such as Ordant software, you might still believe one of these five common myths about automating print order management. Myth 1: It’s not worth the time or hassle to implement. Yes, it does take time and effort to get a good estimating and print order management system up and running. And even after the system goes live, you will still need to keep it current. But if you set it up correctly and use it consistently, it will make a huge difference in the efficiency of your day-to-day operations -- especially during super-busy months. Your employees won’t waste 20 to 30 percent of their day chasing down information, files, or job approvals. A good Print MIS program can also give you a wealth of data you can use to make better decisions -- about how to price your products, when to buy new equipment, and what types of customers can help your business grow. Myth 2: The software developers don’t really understand my business. It’s true that the first Print MIS programs were simply adapted from systems developed for other types of manufacturing. And, they were developed more for financial analysts than everyone in the shop who works on the job as it proceeds from prepress through shipping. But not all print order management systems are alike. Ordant software was developed by a printing business employee who recognized that print business owners need software that is extremely easy to use and customize. Ordant’s founder recognized as different types of printing business adopt various digital printing technologies, no two printing businesses and sign shops are alike anymore. A company that started out producing publications and marketing collateral can now produce signs and packaging, too. And a large-format graphics firm or sign shop can now print marketing collateral, promotional products, and T-shirts, too. An automated print order management system must be flexible enough for use in printing businesses that use vastly different mixes of print devices, finishing equipment, materials,and ancillary services. 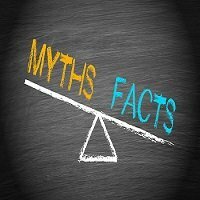 Myth 3: Only big print-service providers need to automate their systems. The big print-service providers were the first to adopt automated systems so they could run lean, efficient operations for the “manufacturing” of complex products such as as magazines and catalogs. But today, print shops of all types and sizes are handling a higher volume of orders for smaller-run jobs. Every customer who orders just a few pieces at a time as needed doesn’t want to wait days for an estimate or delivery of the finished products. Everyone expects to receive both a quote and the printed products quickly. Processing a high volume of fast-turnaround jobs quickly and efficiently is almost impossible without some level of automation. Myth 4: Automating will force me to change the way I do business. This might have been true five years ago. But it isn’t true now. Cloud-based programs such as Ordant can be easily customized. Ordant’s in-depth knowledge of various types of printing (offset, labels, large-format, grand-format, screen-printing, and digital presses) has resulted in a system that can be configured for whatever combination of pricing models, equipment, and services your printing business offers. Myth 5: Print order-management systems become obsolete quickly. The first spreadsheet-type estimating programs developed for short runs of signs and large-format graphics did become clunky and difficult to update. But new, more flexible systems were introduced when commercial printing firms wanted to start selling large-format printing services too. Today, you can’t afford to get locked into an automated system that will be obsolete in a few years. Now more than ever, all printing companies must adapt their mix of services to meet the changing needs of their customers.